Hellenic Republic F-84/Republic RF-84F Thunderstreak/Thunderflash (9) F-84F 26939; 26926 red tail; 37152; 37223; 26913; Republic RF-84F 7969 all overall RAL7001; 36685; 28736 both SEA camouflage; 28732 grey/green. Inc stencil data, spare numbers etc. 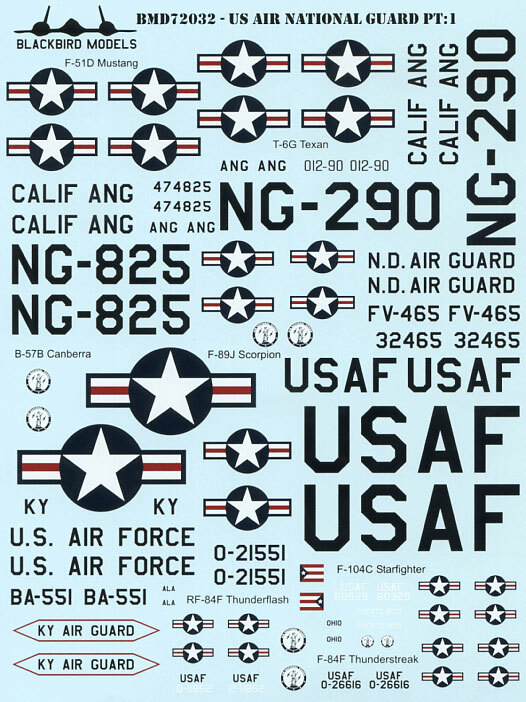 This fantastic decal sheet from Icarus Decals allows you to build any F/RF-84F that has served with the Hellenic Air Force in 1/72nd scale. 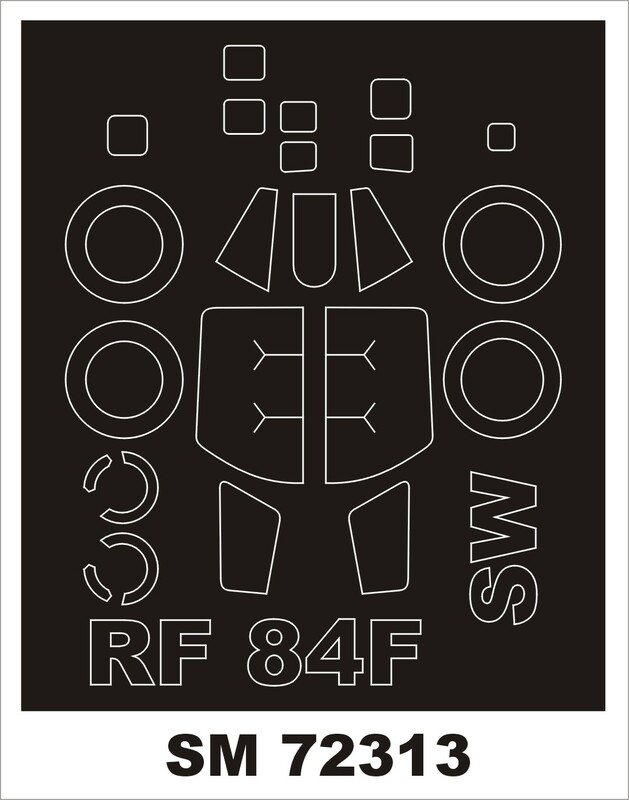 No less than three sets of national insignia and two full sets of stencil data are provided. Comprehensive instructions sheet includes profiles for aircraft in TAC and NATO camouflage schemes, as well as in natural metal. All our decals are printed in Italy by Cartograf. Fairey Firefly FR.1: (post-war part 1) 767NAS and 827NAS Royal Navy. 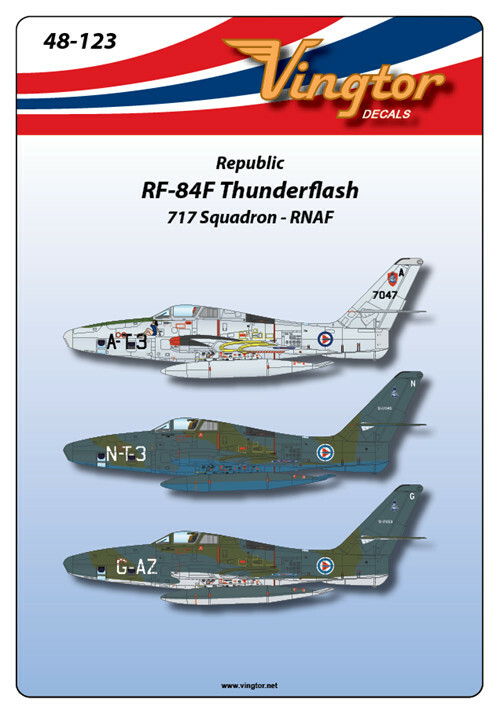 Republic RF-84F Thunderflash ER1/33 'Belfort', ER2/33 'Savoie'; ER3/33 'Moselle'. Caudron C.430 Rafale: F-AMVA and F-AMVB. 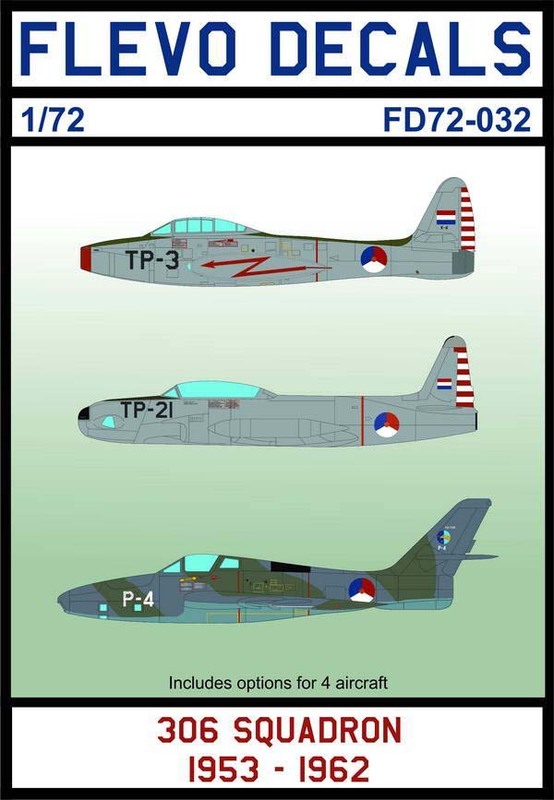 Republic F-84F Thunderstreak and RF-84F Thunderflash. Fraught with engine and aerodynamic teething problems that resulted in its missing the Korean War for which it was intended, the F-84F Thunderstreak, initially seen as languishing in the shadow of the more well-known and proven F-86 Sabre, matured to become a formidable fighter-bomber that served not only with the USAF's Tactical and Strategic Air Commands, but also with numerous European air forces for many of which it also offered the first experience in swept wing jet fighter operation. It provided a much-needed deterrent during the critical early years of the Cold War and the 1960s, especially with NATO air forces, where it normally replaced its straight-wing predecessor, the F-84 Thunderjet. 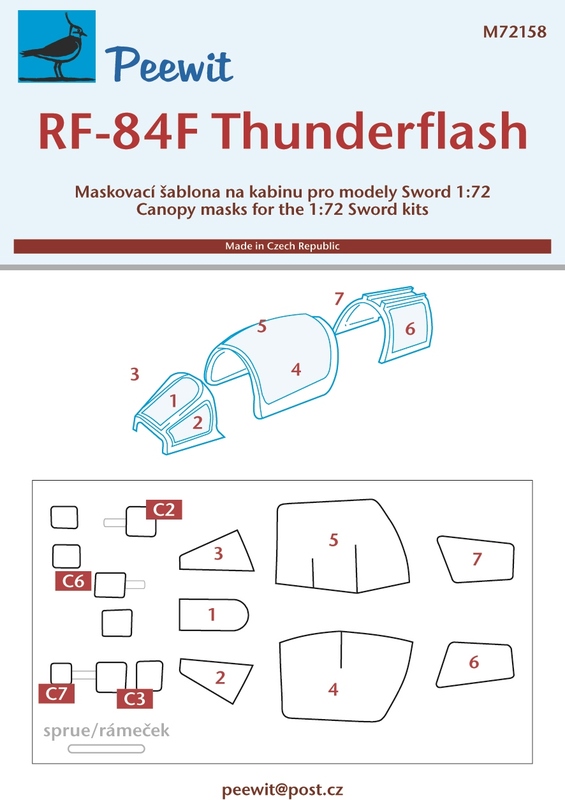 No fewer than 2,711 examples of the Thunderstreak were built, so that for a time it was the fighter most in widespread use in Europe, becoming the backbone of the Alliance's combat element. In contrast, its service with the USAF was rather short-lived when newer fighters such as the F-100 Super Sabre and F-4 Phantom with superior and supersonic performance supplanted it in service. However, with the outbreak of the Vietnam War, when these modern fighters and the USAF's other more valuable combat aircraft were deployed to Southeast Asia, the USAF recalled the Thunderstreak for another spell of frontline service in defence of mainland United States. 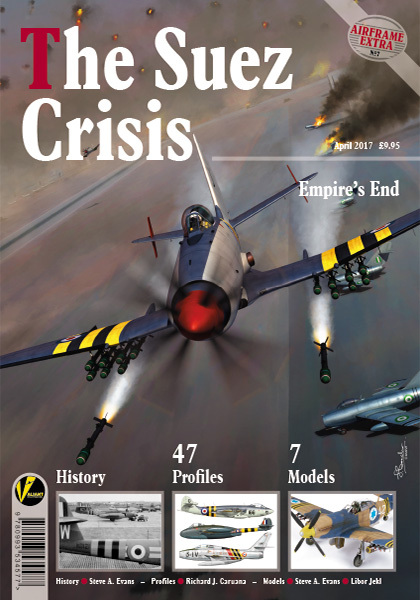 It was only the French who used it in anger when it carried out strikes on Egyptian targets during the Suez Crisis of 1956. 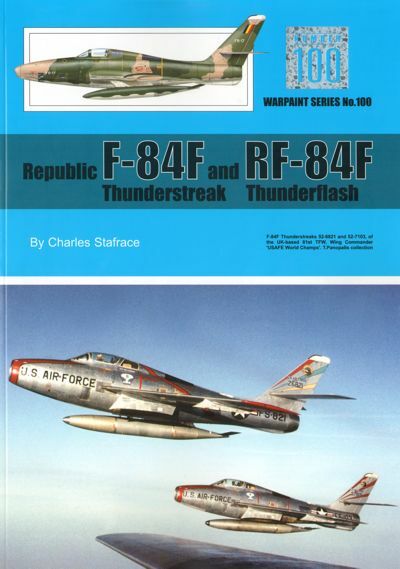 Sharing the Thunderstreak's main characteristics including its vices and virtues, its offshoot, the RF-84F Thunderflash, was considered to be the best photo-reconnaissance fighter of its time, capable of carrying six cameras in its abundant nose in 15 different combinations. 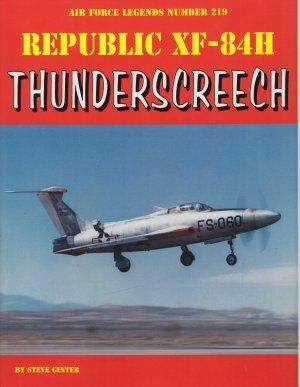 The Thunderflash, too, was exported to most of NATO's air forces, as well as to the Republic of China Air Force where it carried out routine overflights over mainland Communist China in a hostile environment. The French, too, used it in a firing war, again in Suez, while the Turkish Air Force similarly employed it during its brief war with Greece in 1974. Again, the advent of such types as the RF-101 recce Voodoo and the RF-4C Phantom replaced it in USAF service, while the F-104 was the type that most replaced it in NATO air arms. 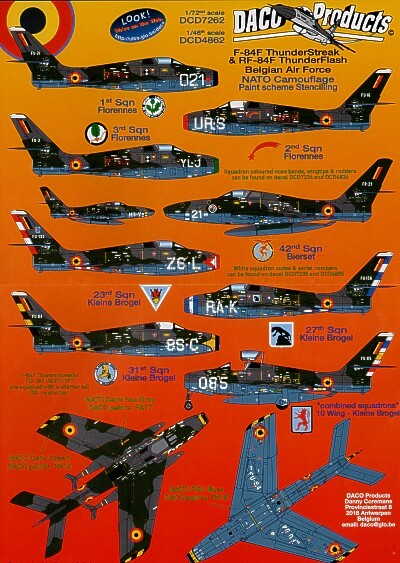 But both the Thunderstreak and Thunderflash remained in service for a long period in some of the European air forces, the last Thunderflash being retired from the Greek Air Force in 1991. This latest Warpaint title gives an account of these two types' service, with detailed lists of serials, squadron service, production and variants in 80 pages of text accompanied by no fewer than 190 colour and B&W photos, eight pages of colour artwork by and foldout scale drawings, describing the development and operational career of these remarkable aircraft. This book is written by Charles Stafrace and is superbly illustrated by Richard J.Caruana.